Display pictures of special events, products, or just nice photography. 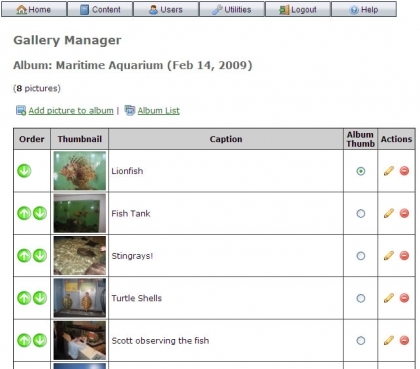 Easily create albums, add pictures, and provide captions in the Gallery Manager. Once activated, the albums can be viewed in a variety of picture viewers. See the Simple Album Viewer or Postcard Album Viewer.